The purpose of this post is to provide a basic description and implementation of Quality of Service techniques, specifically in a Cisco deployment, additionally, this will serve as a QoS study guide for the CCIE R&S exam. Please refer to vendor documentation and third party literature for more in-depth concepts. QoS is typically broken out into different aspects, which makes it a little hard to understand at the beginning, the most basic definition would be, that QoS is a way or technique for treating multiple types of traffic (for any kind of application) in different ways, providing different types of classes or traffic priorities, meaning we will manipulate the traffic in a determined manner depending on the classification or marking that we have previously given to each traffic flow. Consider this, every bit of information that we attempt to send out an interface, needs to be transformed into electric or optical signals and be put on the interface hardware in a queue called the TxRing or hardware queue, the process of doing this is called serialization, also, this hardware queue is always going to have a FIFO behavior or first in first out. Classification tools sort packets into different traffic types, to which different policies then, can be applied. Classifiers inspect one or more fields in a packet to identify the type of traffic that the packet is carrying, after being identified the traffic can then be passed to re-marking, queuing, policing, shaping, etc. Marking (or re-marking) typically establishes a trust boundary on which scheduling tools later depend. Markers write a field within the packet, frame, cell or label to preserve the classification decision that was reached at the trust boundary, subsequent nodes do not have to perform the same in-depth classification. On the other hand, marking allows tuning the attributes for the traffic on the network, which determines how the traffic will be treated, based on how the attributes for the network traffic are set. When marking, we will manipulate the Differentiated Services Code Point (DSCP) field, Class Selector (CS) code point, Class of Service (CoS), IP Precedence (IPP in ToS field) and Traffic Identifier (TID), these are all different terms used to indicate a designated field in a L2 or L3 header. Also, RFC-4594 describes the service classes configured with DiffServ and recommends how they can be used and how to construct them using DSCPs. 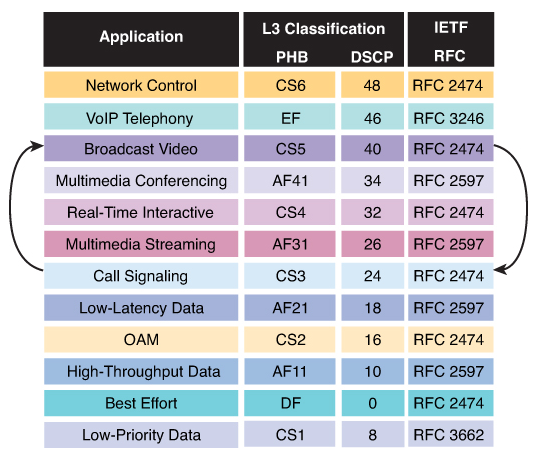 Cisco QoS marking recommendations follow this RFC with one single exception between CS5 (DSCP decimal 40 or IPP 5) and AF31 (DSCP decimal 26 or IPP 3), the following is an image describing these recommendations, also another reference for DSCP/PHB/IPP conversion lies here. 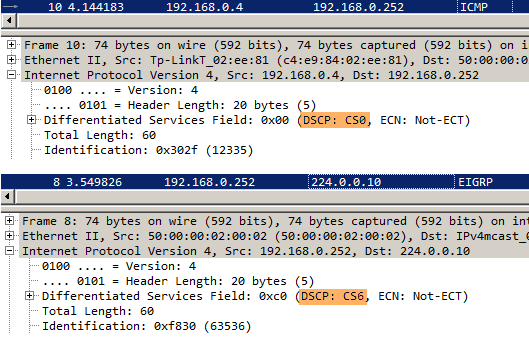 Intelligently, ICMP by default receives DSCP CS0 or “Best-Effort” behavior, while EIGRP Hellos being a necessary keepalive for EIGRP adjacencies to remain established, receive DSCP CS6. There are a few things we can do to avoid having a congested link, as opposed to congestion management techniques, here, we are going to deal with traffic patterns and spikes to avoid collapsing the link. Congestion avoidance is achieved through packet dropping, some of the common ways of dropping packets are Tail Drop, RED and WRED, let’s examine each. TCP Synchronization is the behavior of the TCP traffic traversing an interface when such traffic’s TCP Window size starts cutting in half all at the same time and slow starts begin, usually the interface will drop tons of packets per flow, this is the so-called sawtooth behavior of TCP traffic, synchronization incurs poor bandwidth performance for the link. Tail drop can result in global TCP synchronization, which we need to avoid, tail drop treats all traffic equally and does not differentiate between classes, when an output queue is full and we are doing tail dropping, packets are dropped until the congestion ceases or the queue is no longer full. Tail drop is enabled by default. Random Early Detection works by letting the end hosts know when they should temporarily slow down on the traffic flow, because most of the traffic across networks is TCP based, RED takes advantage of this by randomly dropping packets from the queue before the buffer is 100% full, in order to avoid the congestion of a link, this results in more even traffic patterns (less sawtooth). Congestion Management typically deals with the following scenario: “The link is congested, we have 100% utilization on the output queue, what are we going to do now ?”. This applies outbound only, once the software queue is full, we need to figure out what to do with the traffic, do we re-order the frames ? do we sacrifice one for another (drop) ? 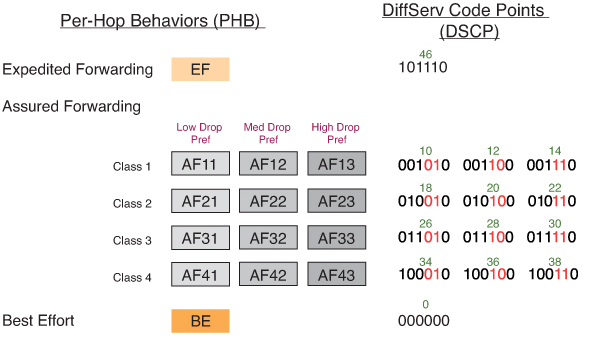 This is what congestion management tools deal with, by default all queues have a FIFO behavior, but we can also leverage Weighted Fair Queueing to prioritize some traffic that is delay sensitive, for instance, the VoIP flows. We will focus on Class Based Weighted Fair Queuing, because it is the one we would implement using the HQF, CBWFQ simply designates a weighted queue per user-defined class, meaning every time we specify a class under a policy-map, we are enabling WFQ on that class, and the weight for this class will be defined by the bandwidth command. So in the output above, we have defined two classes matching the desired type of traffic, based on NBAR (try doing a show ip nbar port-map) and then created a policy-map calling both classes. For the HTTP traffic, we have given it a bandwidth reservation of 50% (this is based on the software defined bandwidth of the link that we will apply this policy-map to), what this means is that the minimum bandwidth that will be reserved for this type of traffic in times when the link is congested, will be 50%. We could have also used a fixed value like 50 Mbps, but I rather use percentage. The default bandwidth reservation for the class-default class in this code is 1%, but the system will let you allocate up to 100% of the link for user-defined classes, keep in mind that should the link become congested and 100% of the BW is class-based defined, we could start dropping packets belonging to unclassified traffic. As far as the ICMP traffic, we have given it a priority of 5%, priority (LLQ) means the maximum percentage guaranteed, so in this case, up 5% of the bandwidth of the link is guaranteed for ICMP traffic, if this type of traffic goes above 5% and the link is congested, a built-in policer could start dropping traffic based on whether the TxRing is full at that moment or not. If on the other hand, the ICMP traffic goes over 5% of the link and the link is not congested, it will start receiving a FIFO treatment. Policers are typically used to rate-limit the traffic as it enters an interface, they can also be applied outbound but in most cases, we would use them to, for instance, limit the rate at which traffic coming from a customer enters a Provider Edge (PE) router interface. The way policers work is such as Token Bucket, which is a formal definition of a rate of transfer, this is composed of three components, the burst committed (bc), the committed information rate (cir) and the time interval (tc). The cir will be in most cases the one we will consider when limiting the traffic, the bc specifies in bytes/bits per burst how much traffic can be sent within a given unit of time, and the tc specifies the amount of time between each burst. Traffic flow at a given rate per second is said to be conformed if it falls within the cir rate, otherwise, it is said to be exceeded. Let’s look at an example, we will police on CSR3’s Gi3 interface to rate-limit traffic coming in matching everything (class-default) to 8 Kbps, which is the minimum allowed in this code that I’m using, by default conformed traffic gets marked to transmit and exceeded traffic gets marked to be dropped, dropping is a marking action, we could also mark it so that the packet receives a low priority after a certain threshold instead. This is what’s called a 2 color marker, the two markers are conformed and exceeded. The bc being 1500 bytes means we are allowed to receive 1500 bytes on a per interval basis in order to achieve the target cir of 24 Kbps. So if we transform 1500 bytes to bits, we get 12000 bits, and because tc = bc/cir, we can conclude that tc = 0.5 which is the same as 500ms, meaning the policer will run 2 times per second because 1000 ms / 2 = 500 ms. 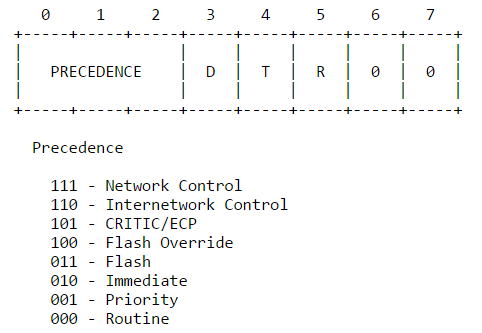 So if we wanted to make this policer more strict, we would lower the bc in order to get a lower tc, but in any case, the user-manipulated tc ideally would have to be within 1 and 125ms, otherwise the router will automatically determine an internal tc value that it believes will be more stable with. A shaper typically delays excess of traffic by using a buffer or queueing mechanism to hold down the packets whenever the rate of transmission exceeds a certain user-defined threshold. A good shaper in most cases will match the settings of the counter policer, for instance, we could use a shaper outbound to match the cir and bc at which the service provider is policing us on the gateway interface. The shapers work by sending the bc amount of data every tc interval at the physical port speed (serialization). The default queue type on a shaper is FIFO, but we can enable WFQ inside the shaper. So the goals of a shaper could be summarized as: smooth out traffic bursts, prepare traffic for ingress policing and delay/queue up exceeding traffic. We can see that the bc and be values have been automatically calculated for us, and notice be = bc, they are always going to be the same unless be is manually specified, be is the burst excess, back to our Token Bucket model, be is the amount of bits allowed to be transmitted if the bc bucket did not get emptied completely after a tc interval. Also notice the queue limit is 64 packets but we could have changed this easily by adding the queue-limit keyword to the fair-queue command under the policer. So now Gig3 will be allowed to send out bursts of 20 Kbits every tc interval, remember that these bursts are always sent at the Access Rate (the actual speed of the interface). If you have read all the way to this point, HQF is what we have been doing all this time, HQF basically refers to the “new way” or the new syntax when configuring QoS in Cisco devices, which is a nested structure using class-maps to match and classify the traffic, policy-maps to manipulate these classes and then applying these policy-maps using the service-policy command. This comes handy when for instance, we have logical interfaces like subinterfaces and tunnel interfaces, we can implement a traffic-limiting feature at the parent level and queueing at the lower levels, let’s look at an example.